Do you need rug cleaning, clothing alterations, dry cleaning service or shoe repair in Clifton Park, NY? 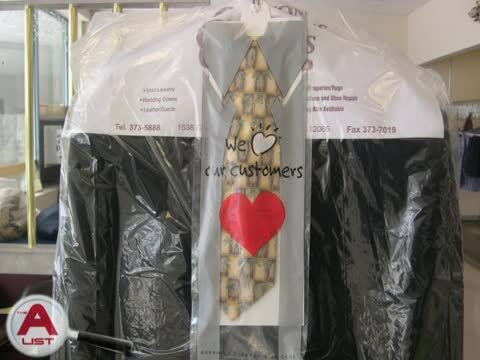 Clifton Cleaners is the dry cleaner you've been waiting for in the Clifton Park, NY area! Clifton Cleaners is a local, family-owned rug cleaning, dry cleaning and clothing alterations business established in 1999 in Clifton Park, NY. We take great pride in satisfying the rug cleaning, clothing alterations and dry cleaning needs of our customers in Clifton Park, NY. Our devoted staff is professionally trained at The International Fabricare Institute in Silver Spring, Maryland. Our professional knowledge of rug cleaning, clothing alterations and dry cleaning is beneficial to residents of Clifton Park, NY and beyond. At Clifton Cleaners, same day service is available. We also provide VIP Express Bags for your convenience. If you need to drop off garments before or after work, our 24-hour drop off box service makes it fast and easy. All cleaning is done on our premises using SYSTEMK4 - an advanced dry cleaning process that creates no hazardous waste. Refreshingly safe for you, your clothes and the planet! Clifton Cleaners uses SYSTEM K4, the safest, most advanced, environmentally sensitive dry cleaning process in the world. Approved by the New York State Department of Environmental Conservation, SYSTEMK4 cleans better than the industry standard. It's non-toxic and biodegradable, so it poses no risk for ground water, air or people. Because SYSTEM K4 uses less steam, it cleans three to four times more clothes before needing to be replenished. "I've been using it for over a year and I can't believe the difference it makes in so many ways, efficiency, cost wise, but especially environmentally," says Holly Cleaners in Newton Mass co owner Jeff Davidson. Tiffany Couture Cleaners in Las Vegas, which does dry cleaning for stars, switched to SYSTEMK4 in 2011. "We thought we were good before;" says co owner Dan Del Rossi. "Now we are a level above where we were previous to SYSTEMK4. It is an amazing process..."
"SYSTEMK4 cleans extremely well and is safe for humans and the environment," says Kurt Lucero, owner of The Cleanery in Albuquerque, New Mexico. "It is also an effective, efficient dry cleaning process that is superior to anything else I have found on the market." At Clifton Cleaners in Clifton Park, NY, we’re proud to be an environmentally friendly dry cleaning, rug cleaning and clothing alterations business. In addition to utilizing SYSTEM K4, we recycle our hangers and use Go Green garment bags. Our services include shoe repair, dry cleaning and clothing alterations in Clifton Park, NY! In addition to our dry cleaning services, we also provide professional clothing alterations and shoe repair services in the Clifton Park, NY region. When you tear your favorite garment or break your best pair of shoes, don't just toss it out! Bring it to Clifton Cleaners in Clifton Park, NY and let our experts rescue it! Our experienced staff knows how to restore your damaged items to like-new condition. We make your life a lot easier with our dry cleaning. We’ll make sure your clothing, linens, and other items are spotless and ready to be worn again. In addition to all these services, we also help customers that need rug cleaning. We handle your clothes with great care, using only the safest cleaning materials for all types of clothing. Trust no one else for dry cleaning in the Clifton Park NY area. For quality shoe repair services, we are the experts to rely on. Why spend extra replacing it with a new pair when we can make your shoe as good as new again? with our quality repairs, you have no reason to throw away best pair of shoe. If you reside in or around Clifton Park NY, get in touch with us for quality shoe repair services. If you have any further concern about our services, we are happy to help you. OKTE Elementary School "Dad's Dinner"
Come visit us today at Clifton Cleaners in Clifton Park, NY for prompt, dependable, friendly service you can rely on, every time. Dry cleaners proudly serving Albany and Clifton Park, NY. National Cleaners Assoc Inc in NY.